Say G'day Saturday Linky Party ~ Decorating your home with ideas from Pinterest. 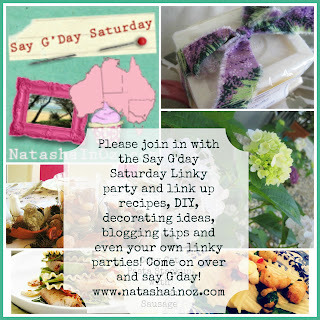 Welcome to this weekend's Say G'day Saturday Linky Party! I'm so glad you stopped by to visit me in my little corner of the world! I so enjoyed visiting the 75 bloggers who shared recipes, crafts, songs and ideas last week! I don't think I have ever seen so much diversity in one party; we had links from all around the world last week! Thank you so much to everyone for adding your names to the Pinning Bloggers Master List, linking back to NatashaInOz.com and for taking the time to leave comments on everyone else's blogs. Thank you also to all of my wonderful bloggy friends who had have added this Christmassy button to their blogs! My 12 Days of Christmas Series starts on December 1st and it culminates with a great big Christmas Party on December 12. I sure do hope you will be able to join in and link up your Christmassy posts! Click to here to read more and find out the full program! This week I am sharing some very beautiful pins from Sally, a gorgeous blogger who loves anything that has to do with homes & decorating! 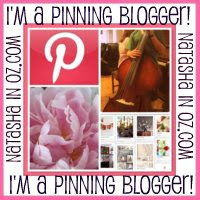 She has a great blog called Love of Homes and Sally is also listed on the Natasha In Oz Pinning Bloggers Master List! I'm sure you are going to LOVE her blog. Sally says, "I'm a stay at home mom of 4 cute kids. I love anything that has to do with homes & decorating. My husband often gets recruited into helping me finish things that I start! 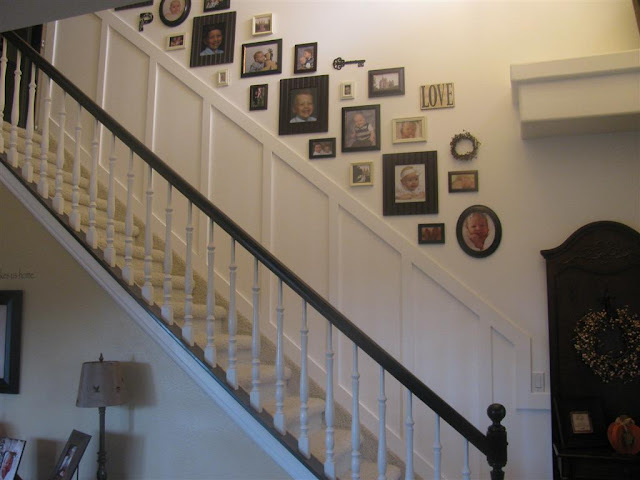 We are making our house a "HOME" one project at a time!" Have a look at some of the amazing projects Sally and her husband have completed! 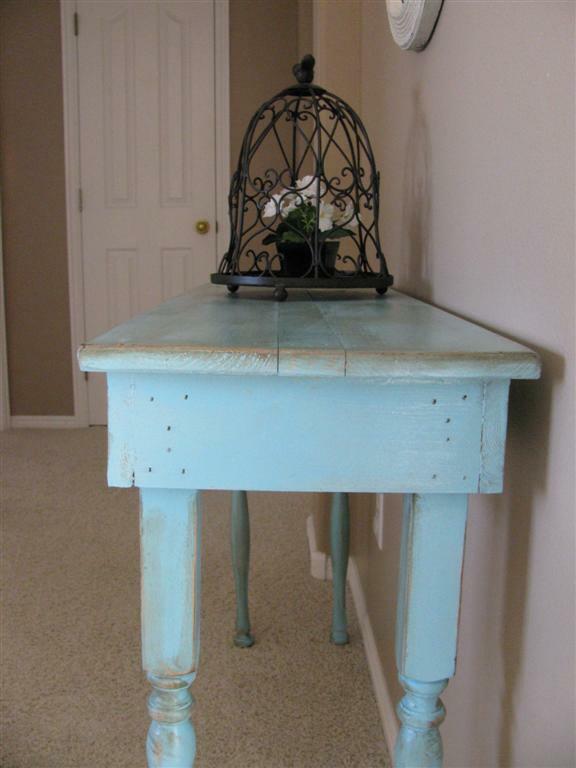 Beautiful turquoise table painted by Sally. 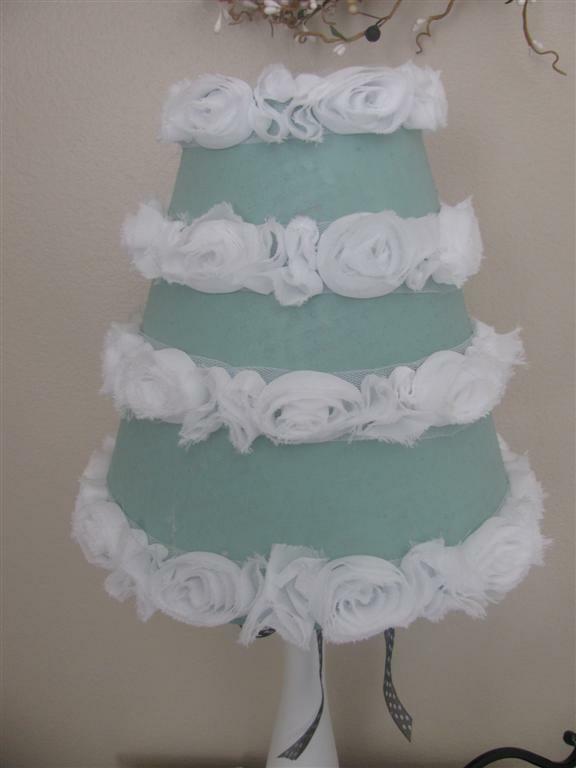 Sally added the flower ribbon to this lamp for her daughter's room-isn't it gorgeous! with a bunch of old cheap frames. If you haven't already visited Sally before please do pop by and visit this very fun blogger! I hope you enjoy checking out a few of Sally's Pinterest Pins and while you do I also hope you enjoy this beautful piece of music. It has been used in two movies and was written by Mark Isham. It was used in the wonderful movie No Reservations Catherine Zeta-Jones, Aaron Eckhart and Abigail Breslin but I first heard it in the touching movie Life as a House starring Hayden Christensen, Kevin Kline and Kristin Scott Thomas. It is called Building a Family and not only is it a stunning piece of music I think the title of the song fits in perfectly with sweet Sally and her hubby who indeed building a beautiful family and home! Thanks for finding these pinteresting pins Sally! If you are like Sally and have been pinning up a storm on Pinterest why not add some pins to a blog post and share them with us at this week's party and join the fun! Maybe you have even posted a song on your blog? 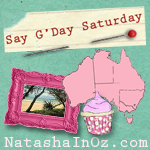 I would love it if you could share your favourite pins, a musical post, a craft idea, decorating tips or even some gardening hints at this weekend's Say G'Day Saturday Linky Party! Thanks so much for joining in and linking up! Don't forget to visit some of the lovely bloggers from all around the world who have linked up. By the way, I have also created a central list of Pinning Bloggers so we can all find each other's Pinterest pages more easily called The Pinning Bloggers Master List. I hope you have a wonderful weekend and happy Black Friday shopping to my American friends! Oh, Natasha! The house pins are gorgeous! Love eye candy like this! Thank you for joining me at Home Sweet Home! I just added your Christmas button too! Hi Natasha! That house is gorgeous! 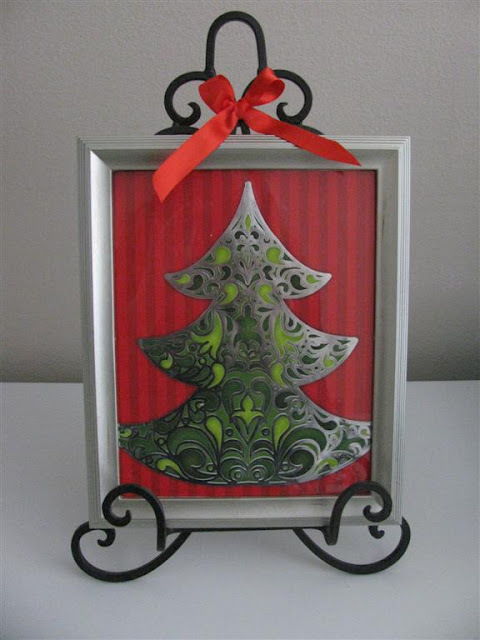 Now I want to try and make those cute sheet music trees! Love the Christmas button 12 days of Christmas blog party! I added the button to my blog and can't wait to participate. I also love your blog banner, Natasha. Your Christmas Party sounds very interesting. I will have to join in, love all the beautiful inspirational photos, just fabulous! What a fabulous idea!! I love pinterest. I will go find you now! Thanks for sharing Sally's pins. What beautiful things she (and her husband) have made. Oh wow, I love those ins. I think the childrens bedroom is my favourite. How cool woould it be to have your bed in a cubby like that. Oh what beautiful homes...thank you so much for hosting! I love it all. Very inspiring. Pinterest is so inspiring. I have not done a post using their inspiration. But I will have to soon. Thanks so much for sharing at Sunday's Best. love the flower ribbon and the christmas tree...really beautiful! those house pins are fantastic!! Love the ideas i can get from them!! The cinnamon bun bunt cake looks amazing. I want to try to make this so bad. Love the ideas! Thanks for sharing. Oohhh...those houses! Thanks for sharing them and making it easy for us to drool over them! I'm following you now; I hope you'll visit me and do the same. And I've joined your party! Thanks for hosting! The houses are beautiful!! Thanks for linking up to Take it on Tuesday blog hop! hi Natasha, lovin all of these!!!! Thanks for hosting a great pinning party. I am enjoying the posts. Such beautiful inspirations, as always, Natasha! I love following your pin boards! I especially love that house with the exposed beams.